Hot chocolate inspired cupcakes with a salted caramel filling and topped with buttercream, sprinkles and marshmallows! 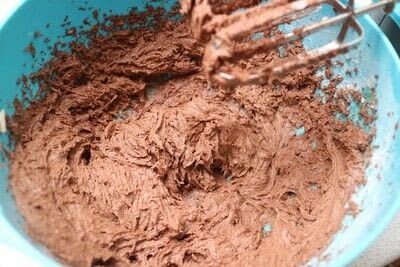 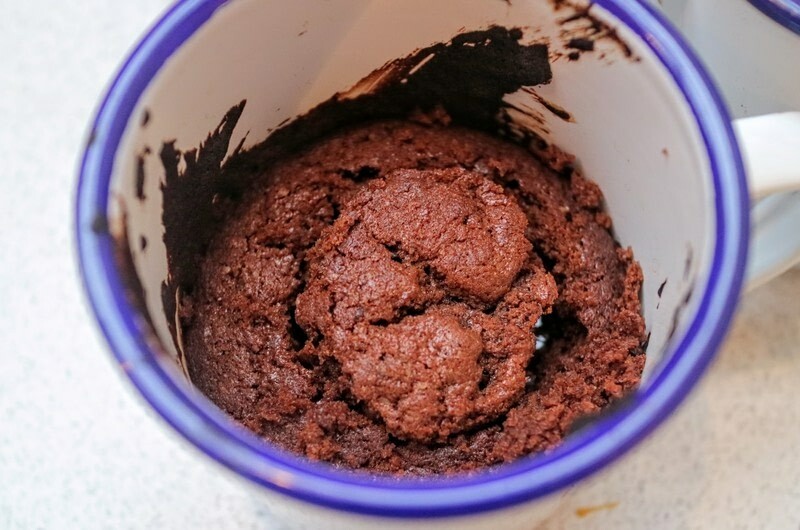 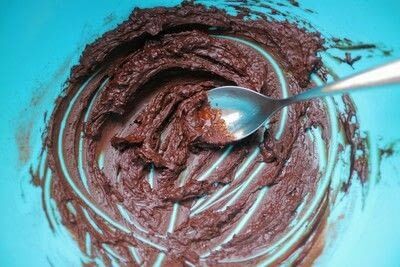 Stir the hot water into the cocoa powder until it begins to melt. 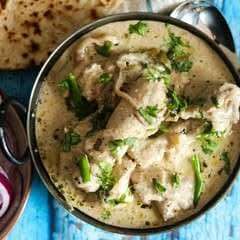 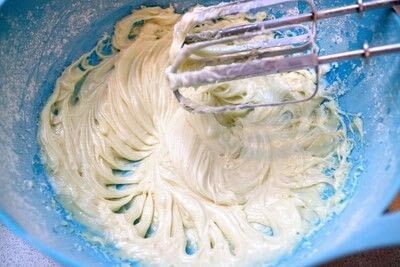 Whisk in the butter, sugar, flour, baking powder and eggs and mix into a thick batter. 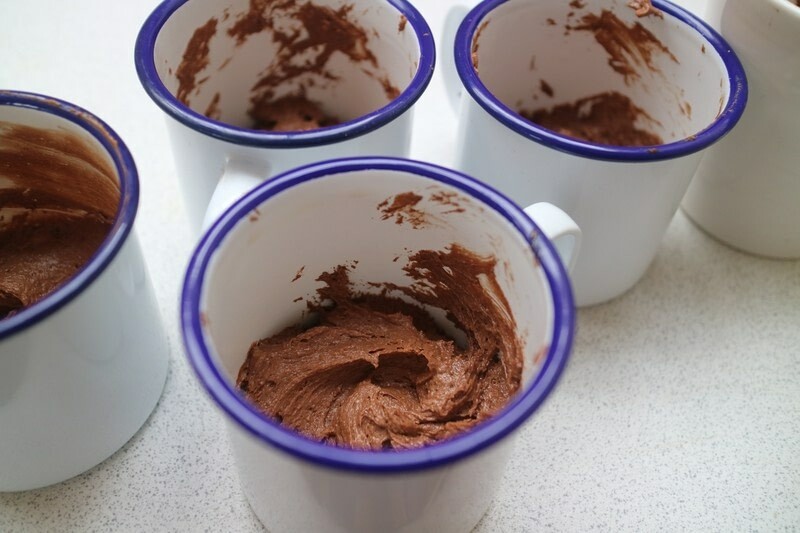 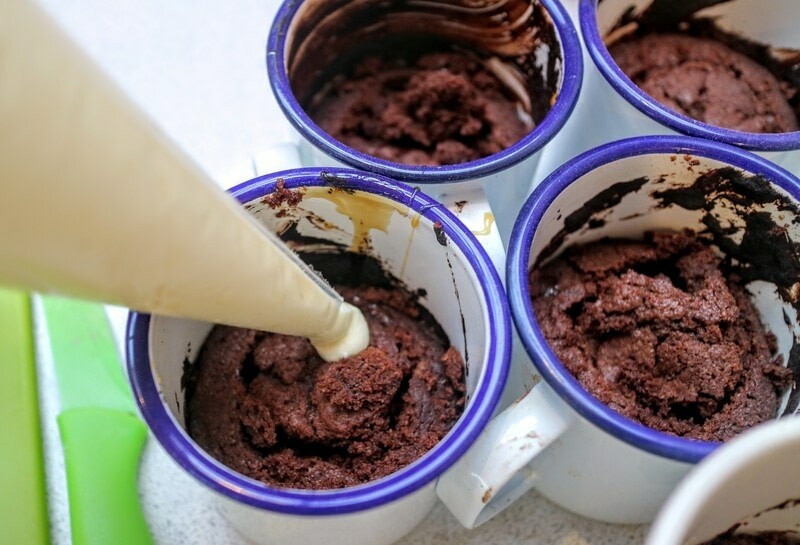 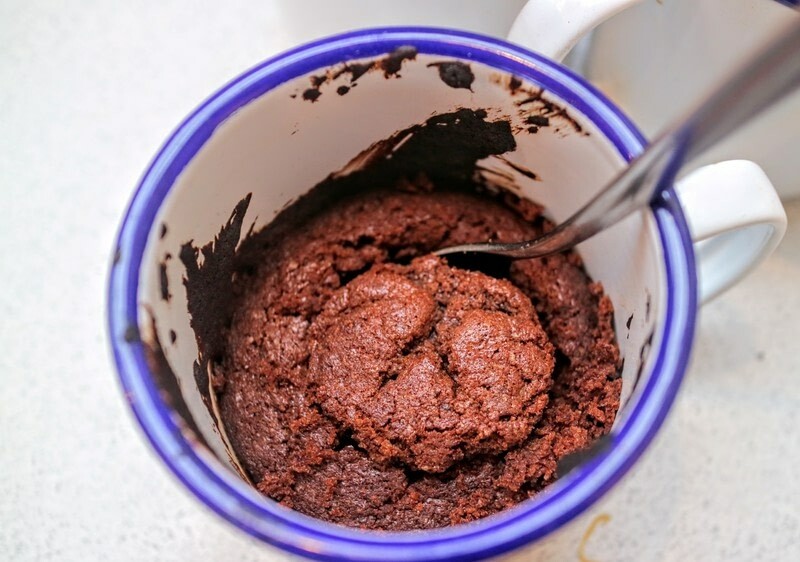 Divide the batter between six mugs. Bake at 200°C for 15 minutes until a skewer comes out clean. 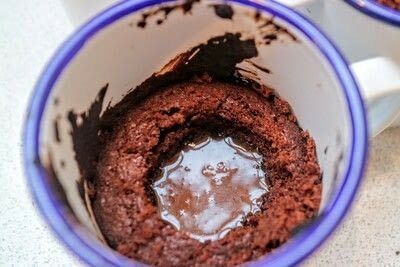 Use a spoon to scoop out a hole in the middle of the cupcakes, making sure not to let the top crumble too much. Heat the salted caramel in a microwave until runny. 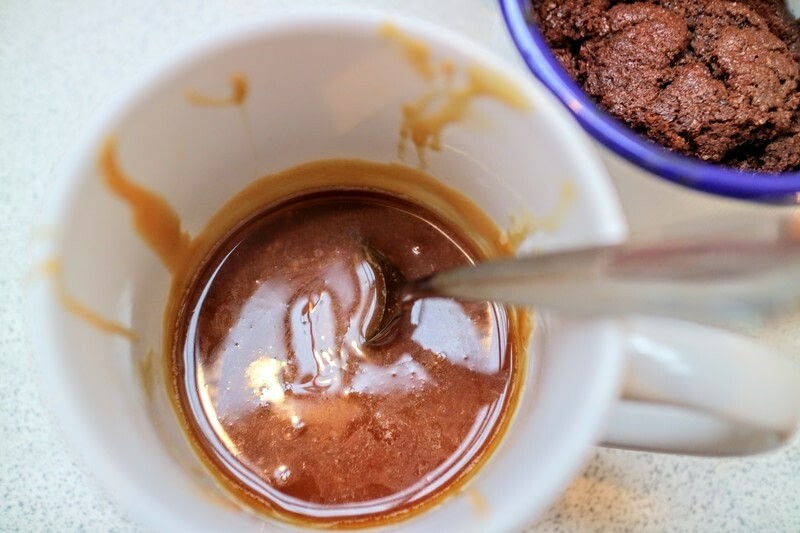 Fill the well in each cupcake with some salted caramel. 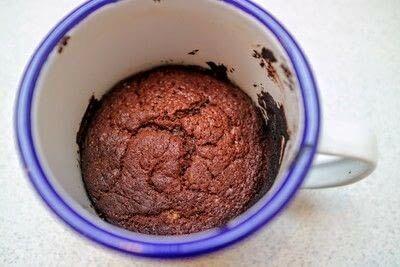 Place the spooned out cupcake crumbs on top. 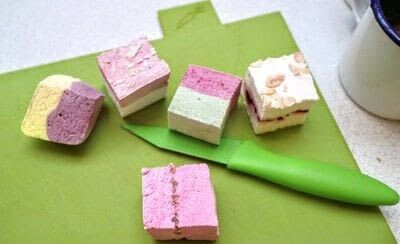 Chop your marshmallows into small cubs. Make the buttercream by whisking together the icing sugar and butter. 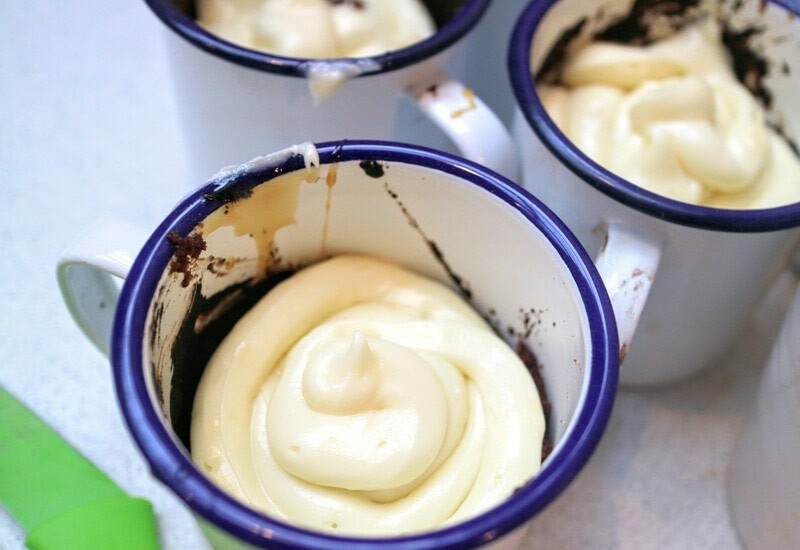 Scoop the buttercream into a piping bag. Pipe buttercream onto the top of each cupcake. 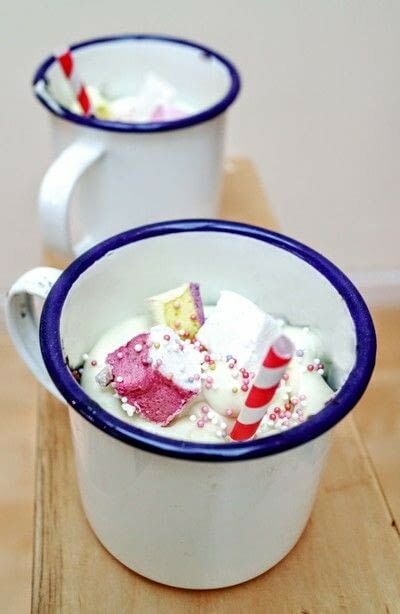 Top with sprinkles and marshmallows before serving with a straw, dipped into the salted caramel centre.